Motorsports enthusiasts had a blast last Sunday at the Batangas Racing Circuit. 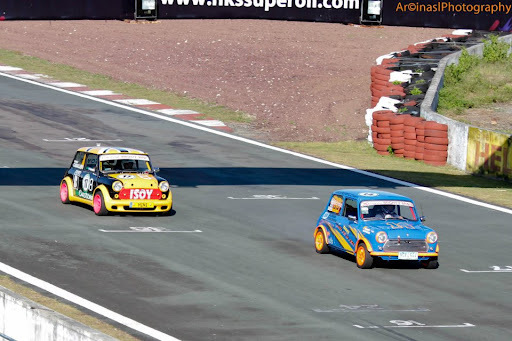 The classic minis raced towards the ultimate rush with a very close finish! Look at the total time, Gervacio won over Caballero with a difference of 0.189 of a second. How cool is that! Congratulations to the winners! 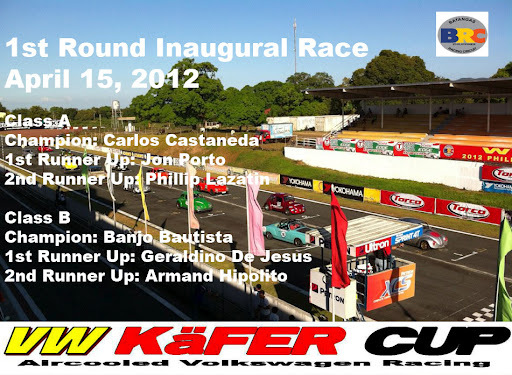 That being the 1st round of the 1st season of VW Kafer Cup, you made history last Sunday. Hats off to Mr. Johnny Tan of BRC and Mr. Mon Picache of philminiracers for a well-organized event. We hope to see (and join!) more of these exciting races. Again, congratulations to all the winners.